Do the limbo with a chicken. Chicken Limbo is a fun electronic party game. Children must move under the limbo bar without bumping into the chicken. 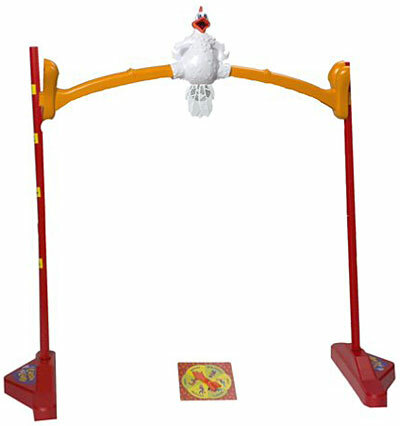 Chicken Limbo features a singing chicken that plays a limbo tune and squawks when you touch him.